For the month of February, Xbox Live Gold members will receive four new free games – two on Xbox One and two on Xbox 360 – as part of the Games with Gold program. You can play both Xbox 360 titles on your Xbox One with Backward Compatibility. On Xbox One, Xbox Live Gold members can download Lovers in a Dangerous Spacetime ($14.99 ERP) for free during the month of February. Project Cars Digital Edition ($29.99 ERP) will be available as a free download from February 16th to March 15th. 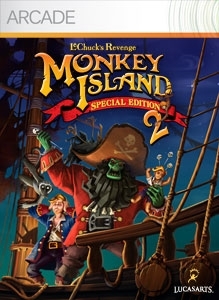 On Xbox 360, starting Wednesday, February 1st, Monkey Island 2: SE ($9.99 ERP) will be free for Xbox Live Gold members through February 15th. 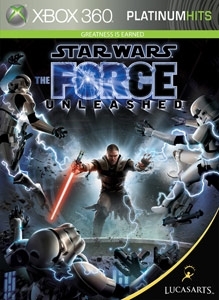 Then on February 16th, Xbox Live Gold Members can download Star Wars: The Force Unleashed ($19.99 ERP) for free through February 28th. Read more about February Games with Gold titles over at Xbox Wire. Lovers In A Dangerous Spacetime is now available for Xbox One and is described as a frantic 2-player couch co-op action space shooter. I like the sound of that and will be teaming up with Jeff Rubenstein to try it out while streaming the game. The stream is scheduled for Thursday, 17 September at 5p ET / 2p PT and will be streamed live on my Twitch channel (or watch it below once it goes live). Watch the stream for a chance to win a code for Playing Lovers In A Dangerous Spacetime. Purchase Lovers In A Dangerous Spacetime for Xbox One from the Xbox Game Store. Game Description: Lovers In A Dangerous Spacetime is a frantic 1- or 2-player couch co-op action space shooter. Explore a colorful galaxy in a massive neon battleship that you control together by manning turrets, lasers, shields and thrusters. Only through teamwork can you triumph over the evil forces of Anti-Love, rescue kidnapped space-bunnies, and avoid a vacuumy demise. Game Description: XBOX ONE GAME EXPECTED TO RELEASE ON 9/9/2015. YOU MAY DOWNLOAD THE GAME FROM XBOX LIVE BEFORE THEN, BUT IT WILL NOT BE PLAYABLE UNTIL 12:01 AM UTC ON THE RELEASE DATE. Lovers In A Dangerous Spacetime is a frantic 1- or 2-player couch co-op action space shooter. Explore a colorful galaxy in a massive neon battleship that you control together by manning turrets, lasers, shields and thrusters. Only through teamwork can you triumph over the evil forces of Anti-Love, rescue kidnapped space-bunnies, and avoid a vacuumy demise.